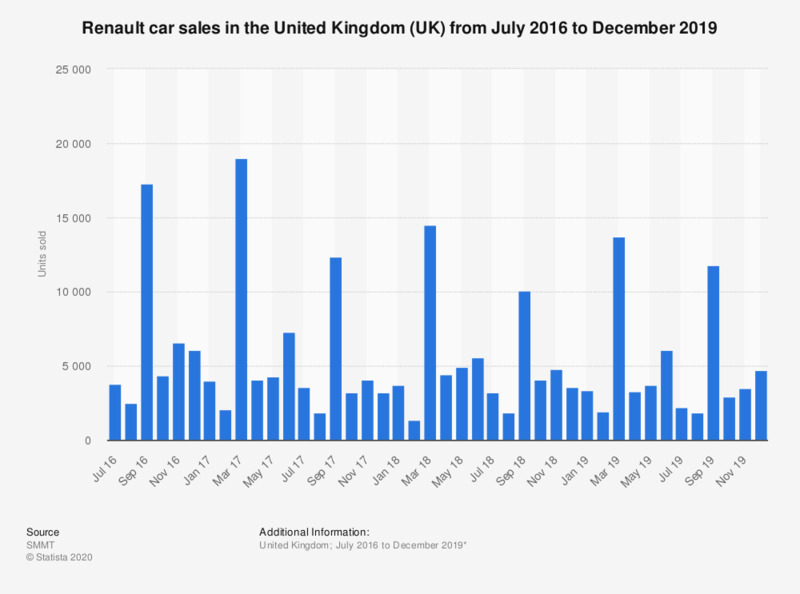 This statistic shows the number of cars sold by Renault in the United Kingdom (UK) between January 2016 to January 2019. Sales of the French brand peaked at over 19 thousand units in March 2017 which, like September, often has high sales due to new registration plates being issued. *Data for previous months provided by the source.